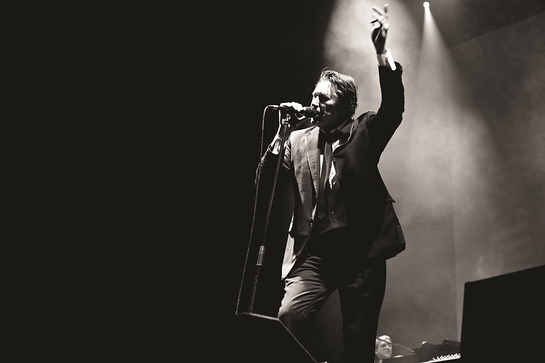 A host of celebrities are expected to turn out for an intimate performance by pop icon, Bryan Ferry, in London next week. Ferry, famed for his string of hits as part of Roxy Music during the 70’s and 80’s is performing at the Winter Butterfly Ball in aid of national charity, Caudwell Children on Thursday 15th November. The UK-based charity, which provides practical and emotional support for disabled children, is renowned for its star-studded fundraisers which regularly attract some of the charity’s celebrity supporters including Sir Elton John, Elizabeth Hurley, Rod Stewart, and Sir Bruce Forsyth. Trudi Beswick, CEO of Caudwell Children, commented: "The Winter Butterfly Ball is our celebration of the work that we’ve done throughout the year and an opportunity to share some of the success stories with our loyal and passionate supporters. As well as the headline performance from Bryan Ferry, guests will be entertained by performances from the Swann Band, Jonathan Bremner and a speech by one of the triumphant members of this summer’s Team GB Paralympic squad, footballer Matthew Dimbylow. Mrs Beswick continued: "We are all excited about what should be a really fun and exciting event, topped off by an intimate performance from a true music and style icon. For more information about Caudwell Children and the Winter Butterfly Ball visit www.caudwellchildren.com or call the events team on 0845 300 1348.